Sharing my numbers makes me a bit nervous for the fact that it’s really hard not to compare myself to others. I’ve had this blog for one year and I am sure in comparison to some that my blog stats will be pretty low. I am also pretty sure that they’ll be higher than some others. Screw it, though! I am going to show you what they are anyway. If I don’t show you then I won’t really feel accountable to try a little harder. My stats have been pretty stagnant for what feels like a few months now. I also want to note that I usually don’t even check them – never any more than twice monthly. I am happy with my blog for the fact that I have met all kinds of amazing people through it. Nevertheless I am pretty competitive with myself and love a challenge. So here are my blog stats. When I first started this blog I was all about guest posting. In fact one of the guest posts I did early on brought me 12,000 visitors in one day. Then I completely slacked off. So, pretty much, my traffic has always stayed the same. Okay, I was inspired by Dollars and Roses as I posted Wednesday. They have been blogging much, much longer than I have but I also love seeing the gradual increase in their income and the amazing amount of traffic they receive. I know that when others can do it that you and I can too. And, if you love blogging and want to eventually turn it into a nice income stream it’s refreshing to see others who have done the same. I also thought about making an email subscriber goal but my first number was probably completely unrealistic. I am going to concentrate on page views right now. There are a number of methods to increase traffic. I am going to concentrate on just a few at first. Guest posting is one of the obvious ways for me to meet my goal. I submitted three blog posts to various blogs last week. Two got accepted but won’t be posted until late December and early January. And the third I haven’t heard back from yet. I went back through some of my old posts and tried to make them a little more SEO friendly. I was surprised that there were very easy things that I could do to make my posts rank a little better. The other weird thing is that some of my post popular posts search engine wise really don’t have a chance at being shared in social media. Do you see a bunch of skeptical men sharing my posts via social media? Yeah, me neither. Interesting note to single mothers: I actually had one man comment that single mothers should just date single dads and all would be well. You know, we shouldn’t think of things like personality or compatibility. As long as there’s a single dad available we should be good to go……….right……. Ok, back on topic here. Here are some other methods I’ve been thinking about. All I want to do is prove that this whole making money thing online can be done. 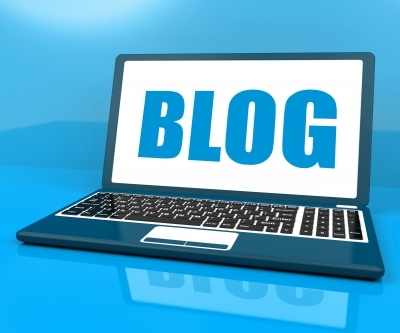 And subsequently the more traffic you get the more likely you are to make money with a blog. I think I can increase my traffic by tenfold if I really try. I think you can too. So, if you have a blog or want to start one feel free to leave a comment with your goals and email me if you need accountability or someone to bounce ideas off of. These are awesome goals! My blog isn’t even a year old yet, so I don’t think I’m in a position to be giving advice (I need it if anything! ), but I just wanted to say that I totally support your efforts here. I think you have an awesome plan in place to drive traffic, especially with making posts more Pinterest-friendly. It’s amazing how things can really take off there once you get a few people pinning – once it starts, the sharing seems to grow exponentially. Good luck with meeting your goals!! Yeah I’ve actually had a few pins since I went back and changed some of my popular posts images earlier this week. Thanks for the support! Lol Almost number #1….although I am not sure if my little blog is going to benefit you much. The majority of my traffic is now coming from Google but the number two source is from a guest post I did months ago. It’s all good. I don’t only comment to drive traffic 🙂 I just really enjoyed your article! Love this challenge. I am pretty sure social media will help alot. I’m curious to see how much change it will bring to the blog. Thank you for sharing, Alexa. I can’t wait to see the results. I am feeling pretty committed to this. If I see any immediate changes I’ll be sure to post! I think those are really good goals! Have you noticed that your blog got more traffic after you published your ebook? No I don’t think the eBook brought any extra traffic. I am glad that I have it though. Thank you Pam! That really means a lot. You are actually doing quite well in term of the numbers and I believe with your very public commitment today, you will more than reach your targeted goals. Its said where there is a will there is a way and you’ll certainly find it. Wish you the very best Alexa! I love the ambition! 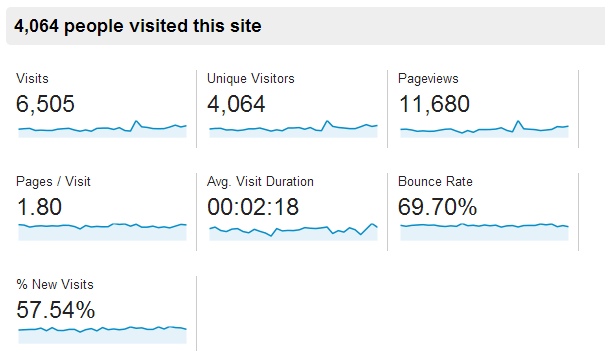 I think your stats look great already but am impressed with the goal of 100,000 page views in a month. With some successful guest posts, I’m sure it can be done. Good luck! I think it can be done as long as I can successfully get those guest posts in there! You once got 12,000 visitors in one day? DANG GIRL! Where did you guest post at? I really need to work on making my posts more pinworthy. I am so bad with that! I am bad with the Pinterest thing too. I just signed up for Pic Monkey though and am loving it. With a little experimentation I’ll get the hang of it. The guest post was on MSM. Those are very good goals. The sky is the limit. You will achieve them if you keep working on them. See how when you stopped guest posting how things changed. For sure. I need to get back in the groove of guest posting. I get on little kicks and for the past few months I didn’t care too much about traffic but it makes it fun when I challenge myself. You are an inspiration and I will keep an eye out on your challenge while doing some of it myself to get The Joy of Simple out to more folks…! Like anything important in life, it takes work and commitment and I’m willing, as are you. Let’s do it! It will definitely take time and commitment but I know it can be done! How exactly does guest posting work? Do you just pick a blog you think would be a good fit and then submit an article whether they say they are looking for guest posts or not? Also, something interesting I’ve observed from reading various blogs. It seems like the blogs that grow in success are the ones that are the most transparent and “give away” the most info (i.e. posting income reports & “giving away” specific info on what they do to grow their blog). I realize that bloggers comfort levels are different when it comes to this area of transparency, but I think many bloggers are afraid of revealing their “secrets”. However, the reality seems to be that the majority of people won’t act/take the time to implement the information they learn anyway. I think you are 100 percent spot on about the reality that the majority of the people don’t take the time to act on information. I truly feel like the internet is big enough for everyone to find success, whether it be blogging or freelance writing. There really is all kinds of money to be made and I’d rather look at others as allies instead of enemies (or competition) I don’t know a lot but I am also more than willing to share those things that I do find work for me. Guest posting is just writing an article for another blog or website and then posting a link back to your blog in your bio. I only submit guest posts to blogs that actively accept them and blogs that I read on at least a semi-regular basis. And, right now a lot of the really big blogs don’t accept unsolicited guest posts – they have to invite you first. I’m excited if I get 10 views, though before Emmett was born some of my posts were getting more than 30 views. By January I’d love to get back to where I was at least. You’ll get there for sure! Your stats look very similar to mine, except for the (holy crap!) 12k views in one day. I had 1,000 one day and that excited the hell out of me. Where did you post? I’m bad about guest posting only because I’m afraid then I’ll run out of ideas for me own site! As for how to get more views, I have no idea except to just keep trying to produce good content. Good luck hitting your goals! MSM was the absolute best place I posted. I know what you mean about the ideas though. Right now I am working on a guest post that is taking me forever. I think it’s going to be very valuable to people and as much as I want to just post it on my blog I think I’d be better off submitting it as a guest post. I’ve just had a bit of a pinterest epiphany and am going backward updating some of my posts to make them more “pinnable.” For the most part, it’s making the main image an awesome one and including a bunch of text so the image says exactly what it’s about. I just did a bunch of that yesterday, so we’ll see how it pans out. Let me know how it pans out. I went back through and added some text to some of my more popular posts hoping that they might be more pinnable. Only time will tell. Stats look good, thanks for sharing! How many visitors/visits came from google search traffic? Any noticeable improvements with SEO tweaking yet? I just looked. The last thirty days my Google Search Traffic was 2506 visits out of 6505 – so more than a third of my traffic is Google right now. I haven’t been able to tell a difference yet since implementing some SEO tweaking but it’s probably too early to tell. I’ll update as I go to help keep myself accountable and let you know what works. Good to hear. I’m eagerly awaiting the days when my google search is a significant part of my traffic. I’m getting plenty of referral traffic, but just don’t have that many articles up yet to draw in big search traffic. Those stats look great Alexa! You’re a little ahead of me, and you’re goal of 100k page views in a month is really inspiring! I’d like to do more guest posting as well, though I’ve never seen the crazy traffic like you have. The most traffic I’ve gotten from a single source was when someone linked to one of my articles in one of the Mr. Money Mustache forums. That was pretty cool. But since I can’t really control that, no use focusing on it. In any case, making more of an effort to get your name and message out there can only help. Good luck! For a blog that is a year old, I’d say you are doing great, Alexa! The stat sure can speak for itself and judging by your blogs that I have read so far, I don’t see you going anywhere but up – higher and higher. Wishing you all the best! I got my blog at 1/3 of your current traffic in 6 weeks by posting frequently and commenting on blogs. My SE traffic hasn’t yet started properly, so most of the traffic comes from ‘referrals’. It’s great traffic (low bounce rate and 4-5 pages/visit), so I plan on keeping what I’ve been doing and hope to see even more progress. It’s not impossible to reach your goal, you’re already going smoothly towards it. I think your goal of 100,000 page views is totally doable within a few months. I was so surprised at how Seo totally changed the game and tripled my readership in a month. Once you start setting big goals you never know what might happen. Congrats, don’t be so hard on yourself – your numbers are great! I think your goal is totally attainable, you have what you need to do mapped out already! Either way, good luck with reaching your goals and keep us posted! Alexa, you are doing awesome!!! Those are great numbers, and they will continue to increase, so don’t worry. 🙂 Funny about the single moms/single dads only thing: is this 100 years ago when women were supposed to be “lucky” that someone wanted to marry them and jump on the first offer they had?? If you could get 100,000 page views in one month, I would definitely be inspired to hustle harder! My stats have increased a tiny bit each month, but nothing drastic. I haven’t really guest posted, entered carnivals, etc. so I am happy with how it’s going for now but I know that it could be much better. Best of luck on your challenge and I would love to see you succeed! It’s a start. That’s what really matters. Even more importantly, you have established goals. That’s what will help you progress towards something and give purpose to action. Congrats on the success you have had. I hope we both can one day reach the levels you have set. Alexa, thank you for posting this. It is helpful for a beginner blogger to have a frame of reference like this. I still haven’t tried guest posting, but it is something that is on the horizon and will hopefully help bring in some visitors. Good luck reaching your next milestone, I have no doubt that you will be successful. I think you are doing great Alexa! I, like you, love the challenge of increasing the numbers. Mine’s just happening real slow. I think that is due to a) lack of time to be social because of my full-time job, b) not much in the way of guest posting (although I am starting) and c) just lack of knowledge when it comes to blog promotion/SEO/social media, etc. I do think there is something to the Facebook promotions though. The one special post I paid to promote brought in over a thousand page views in a couple of days. You will get there. It just takes some effort and you will be where you want to be with this blog. You have come so far already. I really need to guest post also, but I barely post consistently enough on my own blog. I’m hoping to change that in the near future. I might have to look into SEO too…don’t know much about it. You are doing great though and thanks for sharing. Loved this post, I need to learn how tobe more social too. Can you share how to increase the SEO? Very interesting article. One thing I’ve had success with is StumbleUpon. I recently sold a successful blog and in the process of starting a new one. I launch on 2/1 but I’ve been working on gaining subscribers prior to launch. I already have over 100 and I haven’t even launched yet! My goal is to have 1,000 in four months. StumbleUpon has helped me with it so far. I love how open and honest you are with your numbers. Promise it will stay this way when your making millions? I know you will be there one day… in fact- I give it 5 years! thank you for sharing your blogging journey with us. I am still on 4 months of blogging, nice to hear what other people been through, great post. Do you have a SEO post? Where is it? Can you add a searchbox on your blog? Your results inspire me.